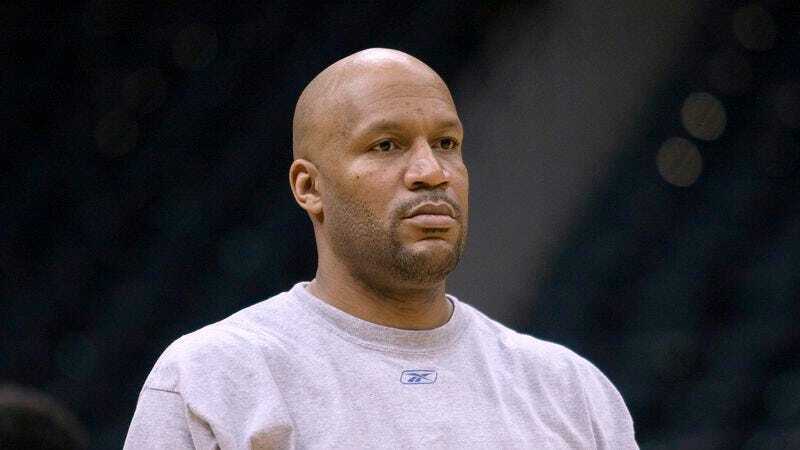 WAYNE, NJ—Having insisted on the falsehood for the better part of two decades, sources confirmed Thursday that retired NBA player Ron Harper won’t stop telling people that he was on the national men’s basketball “Dream Team” that brought home the gold medal for the U.S. in 1992. “Man, we’ll never again have a group of superstars like we did in ’92; I’m just proud to have been a part of it,” the journeyman shooting guard reportedly told his checkout clerk at a local Stop & Shop earlier this week, adding his oft-repeated claim that “being selected as a starter for that squad was the biggest honor of [his] life.” “That team was something else: Magic, Jordan, Bird, Barkley, and me, manning the perimeter. We were unstoppable. Granted, what we accomplished in ’96 was pretty great too, but nothing can ever come close to that summer in Barcelona.” According to sources, the former athlete was later heard regaling a toll booth operator about his legendary “flu game” during the 1997 NBA Finals, in which a severely ill Harper improbably managed to score 38 points en route to a Chicago Bulls victory.